Still on a curise ship and still have very slow internet; just short reviews with no links and no covers. Prophecy by Lea Kirk – Kirk says that she started Prophecy as a teenager and finished it years later. She uses two familiar tropes as the base for the story. The first is an alien invasion of Earth. The second is the soul mate trope. This time it is one alien, but not an alien from the race that invaded but one from a race whose job it was to protect Earth. The second soul mate is a Earth human. The two join together to drive the invaders away from Earth. Kirk did a good job of the attraction and romance between the two. Where she fell down was in fleshing out the invasion and the fight against the alien invaders. I wanted more details of both but they were glossed over and the focus was on the romance. This is book one in the series so I hope that future books do better blending the romance and the action. Pico’s Crush by Carol Van Natta – This is book three of the Central Galactic Concordance. While the story is a stand alone it does feature characters from the first two books. Pico is a new character and while she is featured in the title she is one of several characters who drive the story. The story is full of danger and tension. 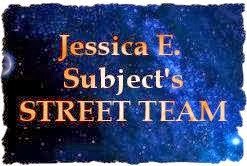 Pico, Sojaire, Jerzi, her dad, and Andra, her college professor ,carry the story and there is a romance for all four. At the end we once again go back to the advice from the president of La Plata, a forecaster. She said to know who your friends are and keep them close. Also to have more than one-way out of the city and off of the planet. A great set up for future books in the series and a really good story to move the story line along. Peony in Love by Lisa See – This is a book club book here on the cruise and I joined because it moves me out of my reading comfort zone. I started reading about 1/3 of the way through wanted to put it down and stop. I did not and after pushing through a few pages more I could not put it down. The story is set in China. The main character is a teen age girl who loves The Peony Pavilion and takes much of it to heart. Only a young girl would do what she did and that is the heart of the story. A interesting book that highlights life in China around the 1600 hundreds. I am still on a cruise ship with limited and slow internet so short reviews with no links or cover photos. Lone Heart Pass by Jodi Thomas – Jubilee Hamilton and Charlie Collins are the next two lost souls to find love and happiness at Ransom Canyon, the Harlequin series by Thomas. I loved how Jubilee and Charlie start out working for a common goal but determined to stay away from romance and love. There was not rush to romance here. Just an interesting and sweet work up to a HEA. Jubilee’s self-adsorbed sister is a nice comic relief to the story. Both Charlie and Jubilee have big hearts and by the end of the book they have grown to a family of four. There is a mystery attached that adds danger and tension to the story. Coltons Surprise Heir by Addison Fox - Ethan Colton and Lizzie Conner are made for each other but Ethan has a lot of work to do before they can become a couple. It all starts with the two meeting for the first time in several years. It is only one night but a baby is the result. When Lizzie is in danger she turns to Ethan for help and that starts the beginning of a long-term relationship between the two. Add in the Alphabet Killer still killing and the man obsessed with Lizzie for additional tension. This is the second book in the Coltons of Texas series. It can stand-alone but it is early in the series so get book one so you can read in order. Burt Holmes, P.I. by A. M. Roelke – Ancestral Ship Captains are a very new to me and I suspect to other Science Fiction readers. The fact that this one is just 14 is an another surprise. Burt Holmes was a policeman but is now a P.I. who works mostly on divorce cases. He is surprised when Wade Hamiltion, an ancestral Ship Captain wants to hire him to find and protect a witness. Wade is only fourteen and skips between being the deadly ship captain and an insecure young girl. Holmes has a hole in his past. He killed a man but does not remember doing it and it turns out there is a lot more he does not remember. All of that comes out as he works on Wade’s case. A great mystery with a very interesting setting. I loved the Ancestral Captain concept and the space station the story is set on. I hope this is the first in a series and not a stand-alone. The Cold Between by Elizabeth Bonesteel – The Cold Between is both a mystery and a romance. It all starts when Elena goes on shore leave and does something very out of character for her. She goes home with a man she meets at a bar. They have an instant attraction but both know it is a one-time thing. 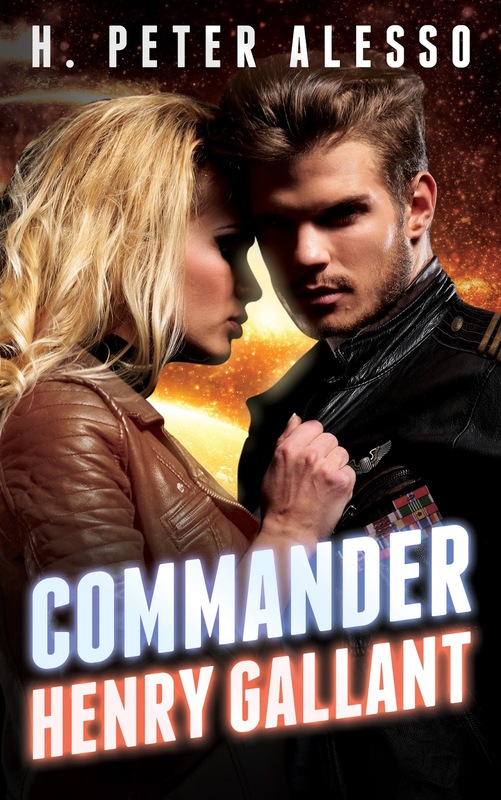 She is on shore leave off of a space ship and he lives on the planet. What neither knows is that he is about to be framed for murder. The victim is a crewmember on Elena’s ship and is also her former lover. The killing took place while Elena is with him so she knows he is innocent. From there the story goes in several directions. Part of the past becomes very important as tension and danger keep ramping up. This is one of those books you really do not want to put down. I loved the world building and the skillful use of back-story. The end was a surprise but also realistic. This is the first time I have read a book by Elizabeth Bonesteel but I plan to see what else she has written and check them out. Night Study by Maria V. Snyder – Yelena and Valek are once again in big trouble. It starts when Yelena finds out she is pregnant. Valek is thrilled but trouble with the Commander soon leads to both being in very great danger. While this is a great story on its own it is also a lead in to the next book in the series. Nothing is solved but a lot is explained as both Elena and Valek are in non-stop danger. A surprise was finding out more about Valek’s past and what happens when he finally returns to his childhood home. This can be read as a stand-alone but is much better if read as part of the series. Hill, Texas. But these cowboys are about to get wrangled by the love of some very special women—the kind who can melt hearts and lay it all on the line. Air force Captain Riley McCord has come home on medical leave to find one heck of a welcome reception. Every unattached woman in Spring Hill, Texas, wants to nurse him back to health. That includes his childhood friend Claire Davidson—the only person who understands how damaged he really feels. In high school, she chose his best friend over him. According to Riley's rules, that should make her off-limits forever. But when Claire suggests a no-strings fling, he can't refuse. Claire always wanted Riley—but she also craved the safety and stability he couldn't offer. So she chose another path, only to end up crazier about him than ever. She's even convinced herself that this time she won't be devastated when he leaves. Yet once Riley realizes the depth of Claire's feelings—and his own—he'll have to make the ultimate choice: return to the job he loves or stay home for the woman who's always lived in his heart. The start of the Spring Hill series contains some familiar tropes but they are familiar because they work well in romance stories. They start with three brothers whose parents were killed before they were all adults. The oldest came home and ran the business. The other two left after they were grown. Riley McCord, the hero in this book, is home recovering after being wounded. He is one of the two who left and this is his story. One of the unusual twists to the story are the man rules. Rule one is do not take someone who belongs to another. Claire is the someone and Daniel is the one everyone except Clair thinks belongs to him. Daniel expects Riley to keep hands off of Claire. This is a great set up to the story. Riley and Claire have been attracted to each other for years but because of the rules nothing has every happened. Add in Claire’s cute son, Ethan, who looks just like Riley and you have another twist. Everyone thinks he is Riley’s but he is not. Oh and of course there is the fact that Riley does not plan to stay. The plot thickens from there. I enjoyed meeting all three of the McCord’s. While Riley is the main male character both Lucky and Logan make appearances in Texas on My Mind. Both are interesting and will make great main characters in the next two books in the series. I also loved Riley's take on potty training a 2 year old. Very unique. Fossen is an accomplished writer and Texas on My Mind highlights that fact. The story is fun, tension filled, full of romance and has a great plot. Everything flows together making this a fun western romance. Like most Harlequin books it tells a complete story in a easy to read length. A great start to a new series. Pick it up for a fun romantic read. 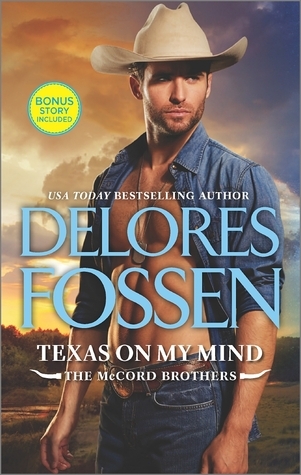 Harlequin published Texas on My Mind by Delores Fossen in 2016. I received an ARC of Texas on My Mind from Netgalley in return for an honest review. I am still on a cruise with very slow and expensive internet so no links or covers. Just a quick review. Beauty and the Clockwork Beast by Nance Campbell Allen – Like the title suggest this is a take on Beauty and the Beast set in a Steampunk World. Lord Blackwell is the beast and Lucy Pickett is the beauty. They are thrown together where Lucy’s cousin becomes ill but no one came find out what is wrong. There is mystery, tension, action, surprises and of course a happy ending. The world building is very well done and there is enough backstory to help flesh out the characters. This reads like the start of a new series. There are story hooks for several of the secondary characters. This is a complete story but is would be nice to revisit this world in future stories. Best of My Love by Susan Mallery – Once again we get to visit Fool’s Gold and visit with more of the wonderful characters who live there. As an added bonus we get to met Charlie, a bichon frise, whose owner got the Your Pet in a Romance Novel prize at the 2015 Tuxes and Tails Seattle Humane Society fund raiser. Charlie plays a important part in Aidan Mitchell and Shelby Gilmore’s story. As usual there is great dialog, an interesting journey and finally a HEA for the two. There are also hooks for future stories in Fools Gold and a new location. Read and enjoy. Poseidons Wake by Alastair Reynolds – This is book three in the trilogy. Even though I had not read the first two I had no trouble keeping up with the story. The plot is complex, the characters well-developed and the writing excellent. Reynolds is a master story teller. That skill is highlighted in Poseidons Wake. Everything comes together allowing the reader to just enjoy, enjoy, enjoy. The Study of Seduction by Sabrina Jeffries – Jeffries uses a marriage of convenience in the second book of the Sinful Suitors series. Something bad happened to Lady Clarissa Lindsey that has changed how she looks at her future. Edwin Barlow is an old family friend who steps in to help her when she finds herself in danger. The scene is set for the two to realize that they are more than friends. Pick it up for a fun and interesting read. When Gallant entered the park on his way to a meeting at the town hall, the impact of seeing Alaina again struck him like a shock wave. His reaction was unlike what might be expected from the methodical logical captain who so recently fought a battle from the bridge of the Warrior. Now he was simply a man rediscovering his lover—filled with the joy of her presence, the relief of her safety, and the sensuality of her being—the emotional tizzy seething beneath the surface was enough to cause the fringes of his vision to grow hazy, excluding all others from sight. He felt a sense of well-being flood over him, creating the desire to seize and hold her. Despite his wish to run—he walked toward her along the intersecting walkway. H. Peter Alesso has over twenty years research experience at Lawrence Livermore National Laboratory (LLNL). As Engineering Group Leader at LLNL he led a team of scientists and engineers in innovative applications across a wide range of supercomputers, workstations, and networks. 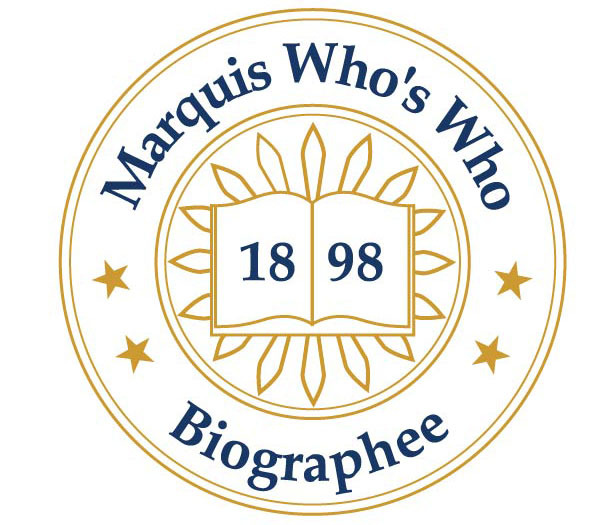 He graduated from the United States Naval Academy with a B.S. and served in the U.S. Navy on nuclear submarines before completing an M.S. and an advanced Engineering Degree at M.I.T. He has published several software titles and numerous scientific journal and conference articles, and he is the author/co-author of seven books. I still have very limited and slow internet so again no links or graphics. Marked in Flesh by Anne Bishop – A further development of the conflict between humans and others. This brings additional characters into the main story line. Don’t look for that much about the developing relationship between Meg and Simon. They are too busy trying to save at least part of the world they know. A great addition to the series but do not start here. Go back and start with Written in Red for full enjoyment. Bitter Bite by Jennifer Estep – Gin finds a folder from Fletcher that reveals an unexpected enemy. That enemy is a threat to Finn and as the plot develops Gin finds that there are things she has never know about her home town. A good addition to the series with hooks to the next book. Gin as usual is a great character. Like most series it is best if you start at the beginning. Once a Rancher by Linda Lael Miller – A new series with a great cast of characters. The Carson brothers are ripe for a romance. While very close they are also very different. This is Slater Carson’s story and it has a wonderful romance and a great HEA. Like many Harlequin series the books will stand alone but if you get started here you will not miss any of the things that happen to each of the brothers. The Caphenon by Fletcher Delancey – What happens when the ship from a star faring planet crash-lands on a planet on the brink of developing their own space travel. Add in the fact that the ship crashed because it was in a battle with another group planning to conquer the planet. Throw in two alien cultures trying to adjust to each other, great characters, a lot of tension and the every present danger for a very exciting plot. Delancey has put a new twist on several old themes. The Caphenon is a interesting character driven story and is also the start of the series. Once I have good wifi I will be off to buy the next book. I am out of the US with limited internet so no links and no graphics. Beyond the Red by Ava Jay- The world building and character development in Beyond the Red is first rate. This is a world full of complex technology in a political situation that looks like a step back into the middle ages. The two main characters are drawn from two very different groups. Koras a Sepharon, a race native to the planet and the Eros is a mixed blood; part human, part Sepharon. Together they must face danger, tension and forbidden romance. Kora and Eros are at the start of change in their world. Their story does not end with this book. The world building, back story and characters are all in place for the next book in the series. Hard Rain by B.J. Daniels – This time it is Harper Hamilton and Bodie McTavish who have to work hard for their HEA. As they do we get to know more about the Hamilton family back story. That back story includes scenes from Sarah Hamilton’s past. Sarah is still a mystery. What is her past? Is she good for the Hamilton family or is she a danger? We will have to wait for the next book in the Hamilton Family series to find out. While the book can stand alone it is much better if you have read the previous books in the series. Graveyard by William Dietz – Graveyard, book three in the Mutant Files Series, is another wild ride. The Bonecrusher is still around, the war between Mutants and Normals is still on going, there are local political problems causing more tension for our characters and for starters there is an illegal medical lab to be tracked and shut down. Added to all of that on Lee’s plate, Kane is being held for murder. The Mutant Files are a great mix of apocalyptic, science fiction, and police procedural with a little romance thrown in for spice. Each book can stand alone but like most series they are more fun if read in order.